Wherever you get your energy from, there are always going to be dangers due to the very nature of the forces you are harnessing. Gas is no exception though the many benefits it brings to us, combined with the most up-to-date safety precautions, mean that the risks are far outweighed and the power source is used all over the world. One of these essential precautions is the use of a gas analyser in the installation, inspection and maintenance of water heating systems. As regular HECAS customers will well know, we choose only products from the most reputable, experienced manufacturers to include in our portfolio, ensuring that our customers always receive the finest quality and that our own impressive reputation is maintained. 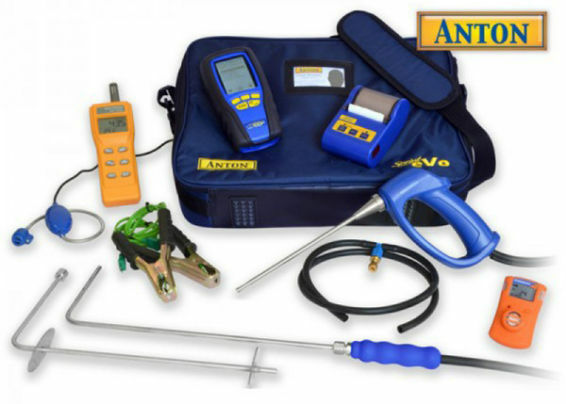 Gas analysers are no exception to this immutable rule and we have selected just two manufacturers - Anton and Kane - from which to source the essential safety devices. Among the range, the Anton Sprint Evo 2 Kit is an especially popular product. It gains this popularity from being particularly easy to use, delivering a high level of functionality without fuss or complication. The analyser, which features improved ergonomic design and a fully-upgraded and modernised menu system, has had its purge structure dramatically simplified to maximise convenience and all of the analytic facilities you would expect from such a powerful piece of equipment are solidly, dependably and immediately at your fingertips. Supplied with all accessories required, this is a superior piece of kit and will provide many years of reliable, low-maintenance service. Matching the Anton range in terms of both form and function, the selection from Kane is just as robust, efficient and productivity-boosting. 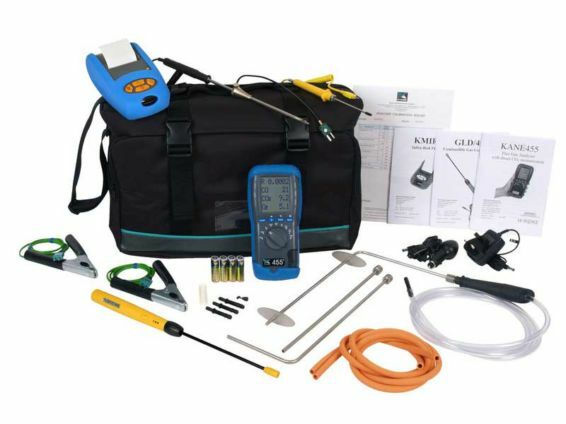 The Kane CPA1 Kit represents perhaps the most comprehensive collection of items that will make the task of boiler analysis more simple and informative than ever before for the professional. Its long-life sensors, which are designed to accurately detect even small amounts of all standard gases, will quickly calculate ratios and differentials, displaying the information clearly and offering pin-point precision control. An optional printer is available and the infrared output facility can deliver a broad spectrum of information from time and temperature to pressure and combustion. Check out both manufacturers by visiting the product pages and don't hesitate to call our experts for advice on choosing exactly the right model!